The old adage "Location, Location, Location" perfectly encapsulates why this magnificent home is a rare find and a must see. Ideally situated on a winding tree-lined street and backing up to the South Mountain Reservation walking trails, this 7 bedroom 6.3 bath custom built residence is fresh and inviting, classic yet informal, welcoming yet edgy, offering everything you crave in a high caliber home. From its kitchen that dazzles, wrapped in windows with an oversized quartz island, sleek custom white cabinetry and walk-in pantry, to its octagonal first-floor office and octagonal lower level gym both with windows on 5 sides, to its expansive mahogany rear deck arranged as a series of al fresco rooms, this home is all about bringing the outside in. Renowned architect James Paragano AIA got it right, offering sophisticated high design and alluring warmth with sun-filled rooms, many with French door views of the lush grounds, soaring ceilings, custom hand-crafted millwork and a floor plan that facilitates both informal gatherings as well as more formal entertaining. Boasting a gracious master suite with breathtaking views of the reservation, voluminous walk-out basement with gym and theater, convenient rear staircase and 5 second floor bedrooms, all with private baths. Less than 1 mile to downtown Millburn and the Midtown Direct NJ Transit train to NYC, with busing available to the highly ranked Millburn Township schools. 7 Bedrooms, 6 Full & 3 Half baths, 2 car garage, 2 fireplaces with gas starters, grand open spaces, soaring ceilings, custom moldings and hardwood flooring throughout, chef-inspired kitchen, high-tech systems, state-of-the-art theater, mahogany deck and so much more. This is the home you have been waiting for. Straight out of the pages of a luxury magazine, the home you have been dreaming of can finally be yours. A sophisticated masterpiece that exudes luxury and high design all while maintaining that warm comfort of home makes 50 Farley Road a vision of perfection. Peace and privacy abound in this idyllic setting, feeling far from the world yet less than a mile from downtown Millburn and the Millburn NJ Transit Train Station which offers convenient service to both Hoboken and New York Penn Station. 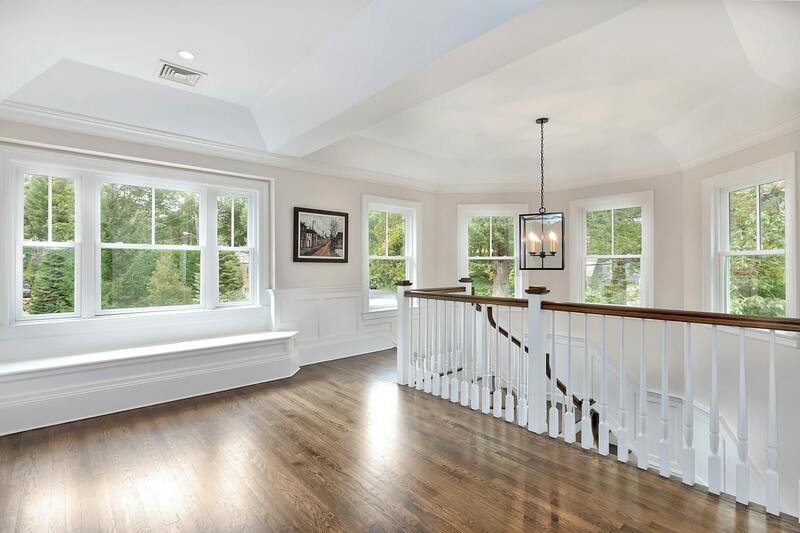 Thoughtfully designed by architect James Paragano AIA, this transitional colonial offers modern amenities and an open floor plan with clean lines and luxurious scale. 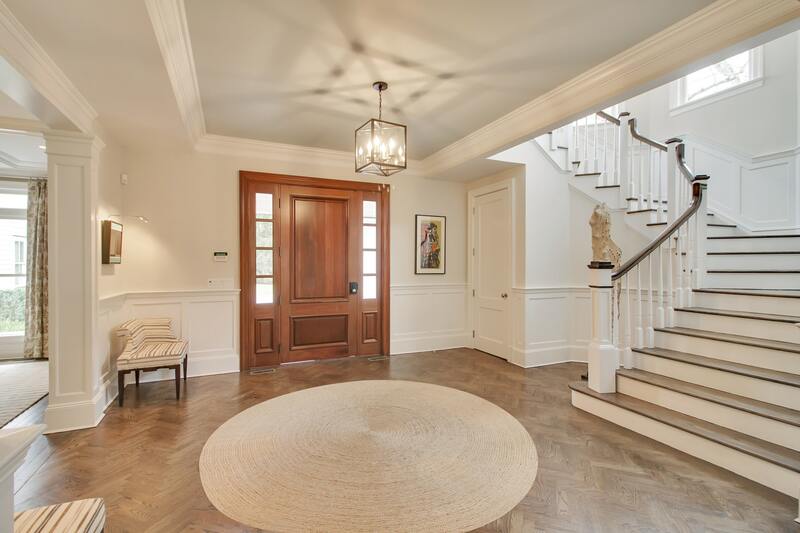 To set the architectural tone, the dramatic entry hall is set on dark matte hardwood flooring in a handsome herringbone pattern and flanked by generously sized dining and living rooms. A dramatic staircase, winding up through an octagonal focal point of the home, is one of two leading to the second level. The eye-catching banquet-sized dining room, stylishly framed with a beautiful coffered ceiling, custom drapery and elegant moldings, is ideal for an evening of entertaining. Glass pocket doors create a separate and more intimate dining experience. Directly behind the entry hall is a jewel that is the stunning fireside living room, complete with custom built-ins, walls of windows and masterful trim detail. French doors lead to an expansive mahogany deck and affords effortless entertaining. An Octagonal Private Library, lined with custom built-ins and affording panoramic views of the grounds is a one of a kind space for contemplation - the rare home office its owner will look forward to using. The heart of every home is the Kitchen, and this home's Kitchen is a truly special space. 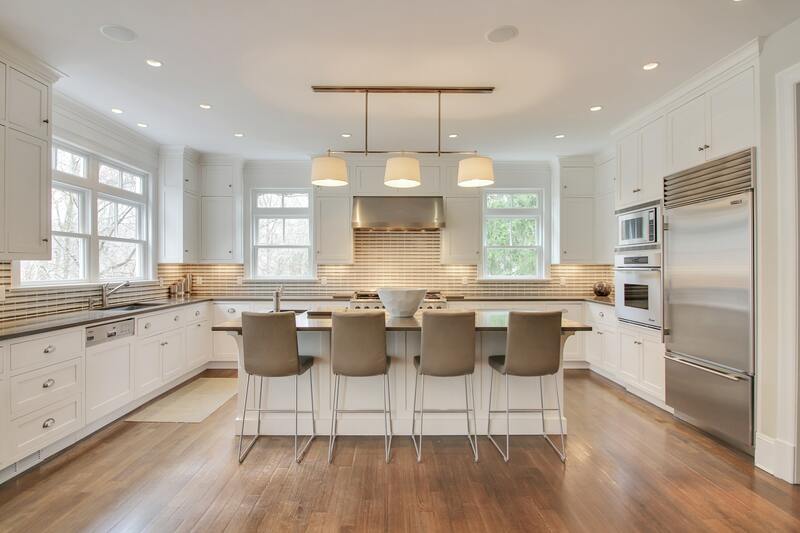 Wrapped in windows for maximum airiness and light, and outfitted with an oversized quartz island, sleek custom inset Shaker cabinets, chef-grade appliances, contemporary plumbing fixtures, sophisticated lighting and a spacious breakfast area, the Kitchen dazzles. Overlooking the South Mountain Reservation, the Kitchen spills out to an inviting, expansive mahogany deck arranged as a series of al fresco rooms. Cool in the summer and warm in the winter: The Family Room, clad with built-ins, a wood-burning fireplace with gas starter and French doors to the deck, is open to the Kitchen with uninterrupted sightlines and the perfect hub for casual gathering. Conveniently located off the Kitchen are essential rooms used daily: The large and ever-functional Mud Room, leading to the attached Garage, features custom cubbies and seating. A back staircase, driveway side entrance, additional Powder Room and Laundry Room enhance convenience, and a Bedroom/second Home Office, stylishly decorated with modern built-in bookshelves and filing cabinets, adds flexibility to this perfect floor plan. A large elegant dressing room leads to the closet of your dreams with customized cabinetry and hanging spaces. French doors lead to the Master Bathroom with marble floors, steam shower with top-of-the-line plumbing fixtures and a beautiful air-jetted tub with large windows above overlooking the lush rear property. Two separate marble vanities with expansive storage and a walk-in closet offer plenty of room for toiletries and linens. 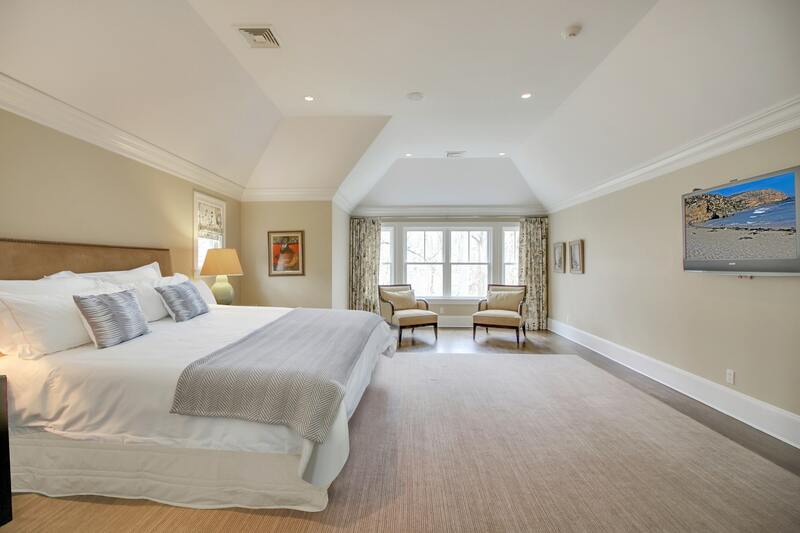 Four additional generous Bedrooms with custom window treatments & en-suite Bathrooms reside on the Second Floor, ensuring perfect privacy for all. The walkout Lower Level offers high ceilings & abundant natural light, making it uniquely inviting. 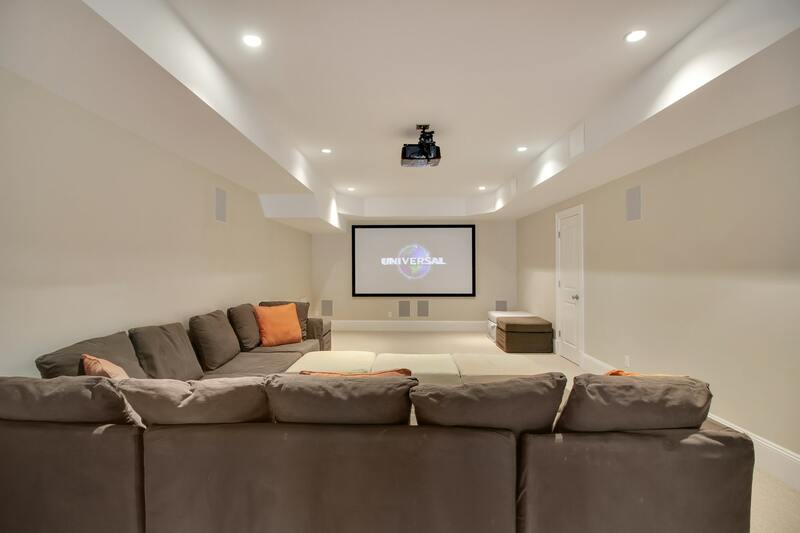 Here a large Media Room's state-of-the-art home theater system features sophisticated sound and projection systems. 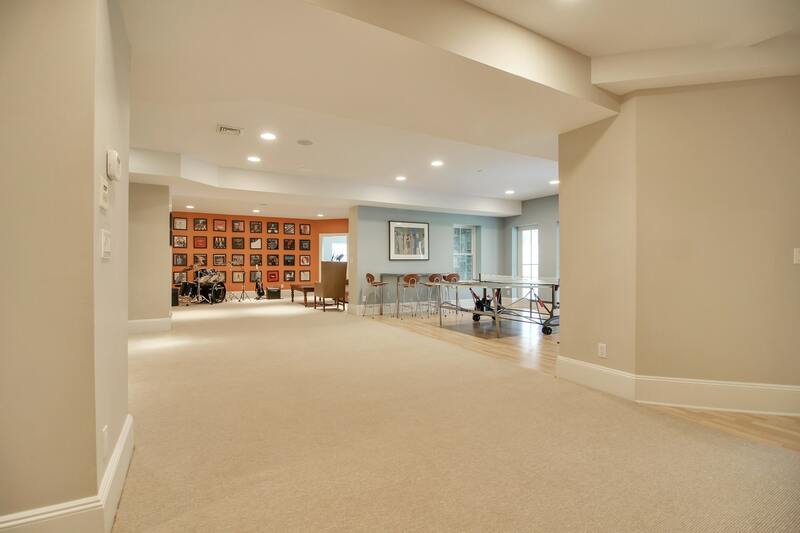 A spacious Recreation Room, Game Room, Billiard Room, Music Room, Powder Room, Exercise Room and Guest Suite with a Full Bathroom en-suite complete this expansive Lower Level. The mahogany deck boasts extensive and picturesque vistas of the South Mountain Reservation, making the homeowner feel far away from it all and yet still only less than a mile to the Millburn Train Station. The large size of the property, deck and patio ensure that even the largest gathering will feel comfortable. 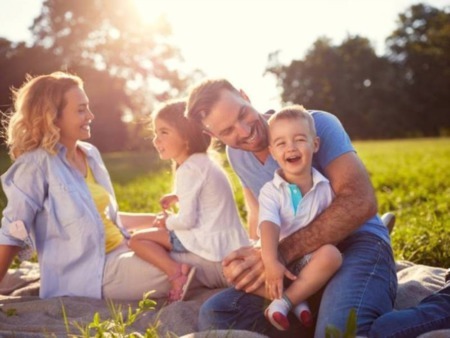 The home's craftsmanship is matched by its sophisticated technical systems, with state-of-the-art heating and cooling, security and sound systems to envelope its residents in perfect comfort. This balance of masterful design and luxury is less than one mile from local shops, world-dining and theater and the Millburn Train Station's Midtown Direct Service to New York City. Additionally, busing is available to all Short Hills top-rated public schools. 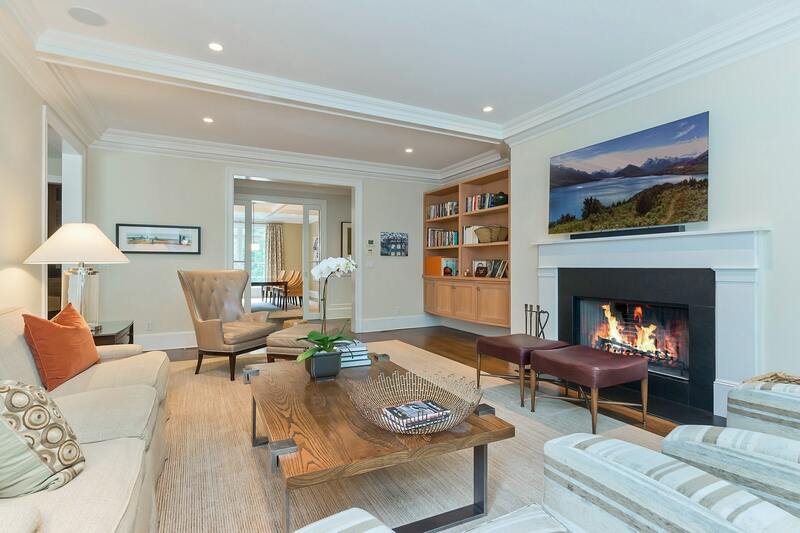 Resting on 0.58 tranquil acres, 50 Farley Road is a tasteful balance of masterful design, luxury and classic comfort, awaiting that extraordinary buyer who appreciates fine craftsmanship, modern conveniences and all that Short Hills has to offer. Welcome to the epitome of casual elegance.